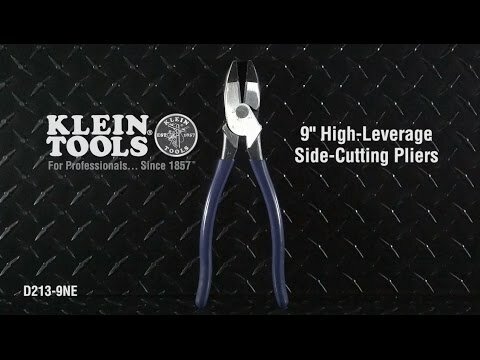 Klein Tools makes some of the world's finest pliers. These High-Leverage, Side-Cutting Pliers features a rivet closer to the cutting edge which provides 46-Percent more cutting and gripping power than other pliers. Induction hardened cutting knives are extra durable for longer life.